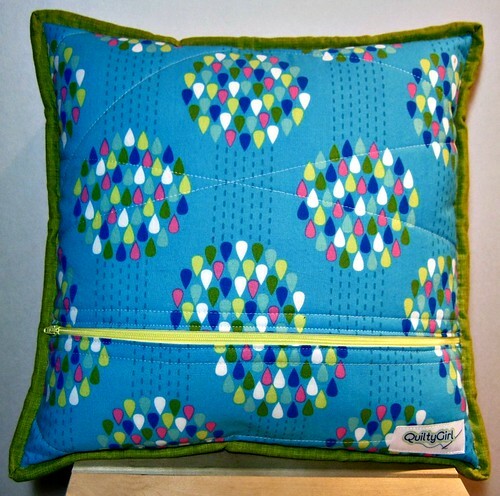 Pillows inspired by "Quilting Modern"
I'm not sure if I've mentioned the new book, Quilting Modern, before. I know Katie from the Seattle Modern Quilt Guild, although I didn't actually meet her until the book was well underway. She is tons of fun, and so inspiring! As I read through my copy of the book, I really felt like a little bit of Katie went into each project and technique. Jacquie is equally as inspiring! Her blog was one of the very first quilt blogs that I ever followed, and even as my tastes change and my blogger roll reflexes that, I don't think I will EVER tire of Jacquie's work. I haven't met her in person, but she's very sweet over email! I buy very few books, especially sight unseen. But I knew that this book would be a hit, so I preordered it - and I was not disappointed! What I love so much about this book is that it is a collection of modern quilting techniques before it is a pattern book. There are directions for creating the quilts in the book, but there are also fabulous descriptions of techniques and other layouts using the techniques.Oh, and I can't forget the section that covers quilting designs - who doesn't need more quilting inspiration?! 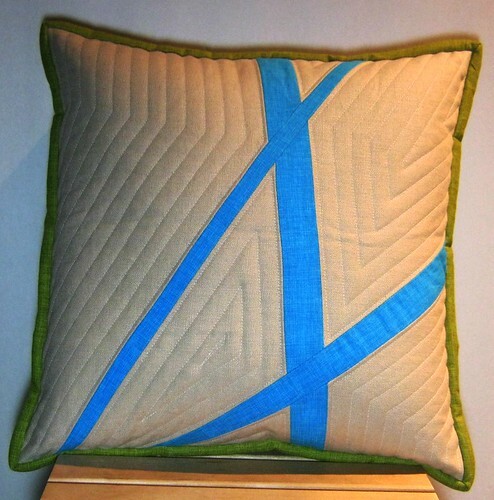 The first project that I made was with stitch and flip triangles. 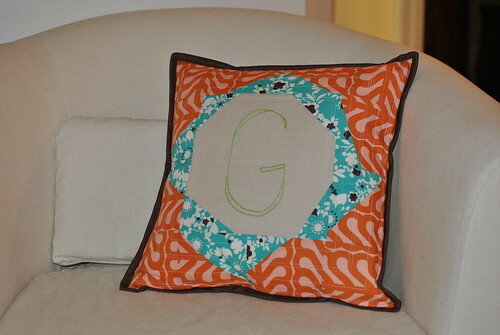 I wanted to make a pillow for a friend as a birthday gift, so I thought this would be a fun time to try out the technique. 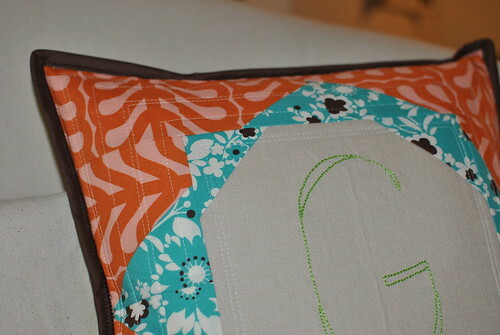 Fabrics on the front are from Outfoxed by Lizzy House (orange) and It's a Hoot by Momo (teal). Back fabric is from Weekends by Erin McMorris. Fabrics on the front are linen (from JoAnn's) and Quilter's Linen in lime and azure, I think. 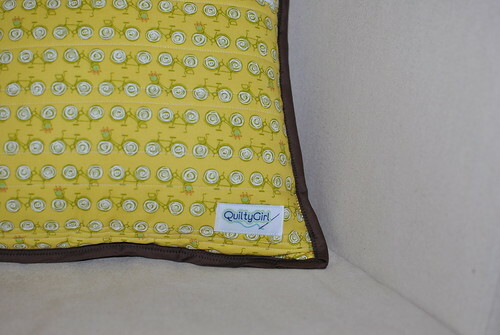 I really love the quilter's linen because it has the stability of a quilting cotton with the visual texture of linen. It washes up really well, and I don't mind at all that it's not real linen! On the back I used a print from Summersault by Eric McMorris. I can't wait to use some of these techniques in larger projects. 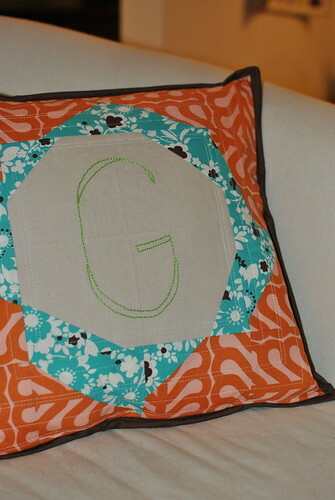 The stitch and flip triangles are especially appealing to me, because they create so many different layouts!